Three quarters of the forest on the Pacific seaboard of Russia has been cut down in the last fifteen years. This was the stark figure we heard from Denis Smirnov* last night. Denis is head of the Forest Programme in this region of Russia, an area that encompasses the coast north to the Arctic, South to the Chinese border and West to the headwaters of the Amur river. Chinaâ€™s burgeoning economy with its incessant hunger for resources is the final destination for the Russian forests. A hunger fed by the world-wide demand for cheap goods. Along with the forest goes the remaining habitat of the Amur tiger and the Amur Leopard, and the life-style of the indigenous Ainu. 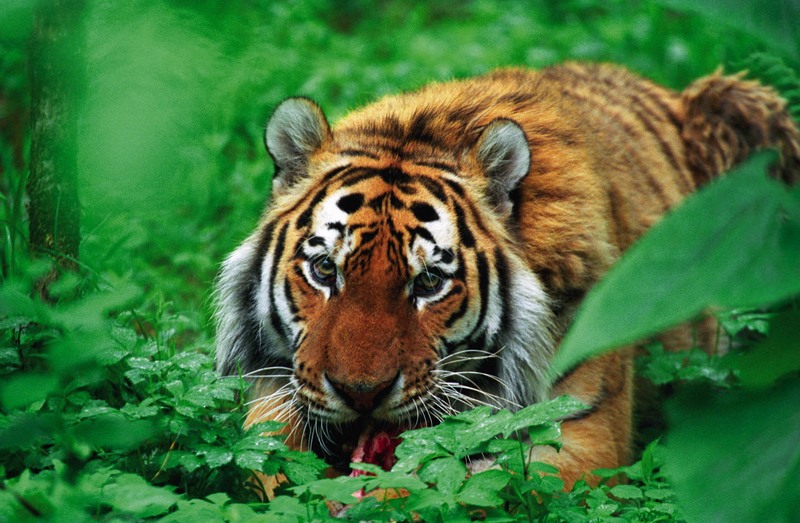 Until recently the story of the Amur Tiger was one of conservation success. In 1950 there were just fifty or so tigers left in the wild. WWF worked with the local authorities to establish reserves and anti-poaching patrols and the numbers grew until by 2000 there were around 450 tigers â€“ one of the worldâ€™s largest remaining populations of tiger. But since then logging has destroyed the tigerâ€™s habitat. Treeâ€™s like the Korean Pine Nut whose nutritious seeds feed boar and other Tiger prey animals have fallen victim to the chainsaw. Now the only area of pristine forest is that around the headwaters of the Amur. This still vast region is the largest intact boreal mixed forest left in the northern hemisphere. Denis and his colleagues are using contributions from German WWF to pay for the local Ainu to buy legal leases to the land they actually have used for millennia. This legal title helps to hold the loggers at bay but as the last stands of forest are cut down and shipped to China the pressure on the remaining forest will get ever more intense.